Early Bird Registration Discount for Straight Shot Extended to April 22nd! An entire school-year curriculum in just one summer? You can do it with our Straight Shot program! Your child will be placed in a small group according to age and skill level. This team of students will learn and grow together, being motivated to practice consistently at home because they play with other musicians at each lesson. Have a vacation already planned? As long as you will not be absent from lessons for two consecutive weeks, your child will have no trouble keeping up with the class goals, even with vacations or summer camps! 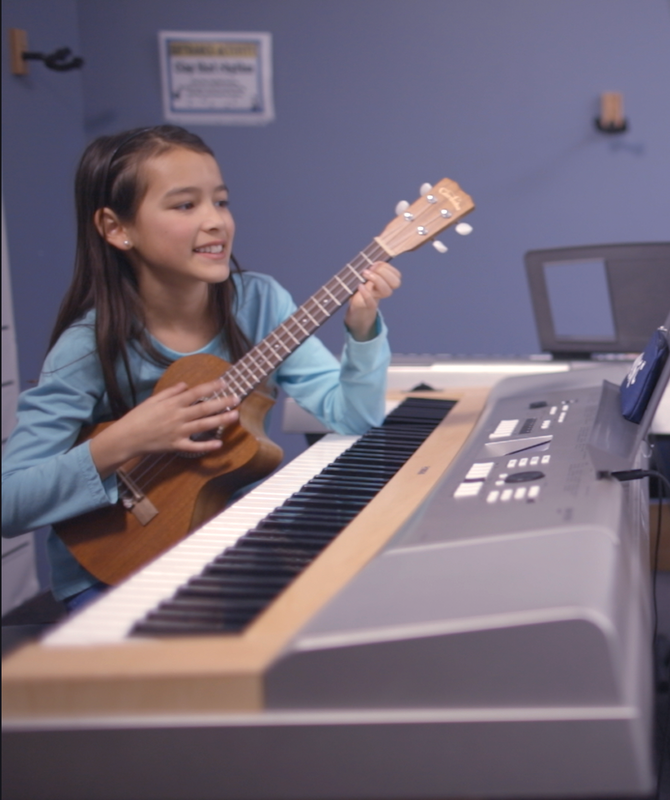 Due to the focused consistency of lessons and practice, your child can emerge from Straight Shot with significant progress on their instrument. Course Duration: Approximately June – August with one performance included. Class Time: Arranged with your schedule along with other families in the group. Once class time is confirmed, it stays the same throughout the duration of the course. Performances: One end of session concert for families and friends. Grade: 1st and up for beginners, 3rd grade and up for current Arrow students. Home Practice Commitment: 10 to 20-minute sessions two times each day, incrementally increasing with each higher skill level. Cost: $640 ($595 tuition + $45 materials). Tuition and materials fee due upon registration and are non-refundable. Early Bird Discount: Pay only $625 when you complete registration and payment by April 22, 2019. Discount applied at checkout.